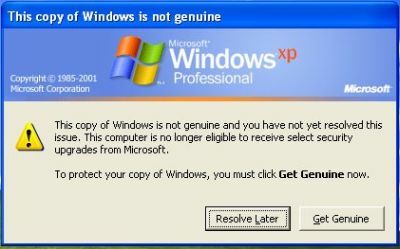 End wgatray.exe process in Task Manager. Restart Windows XP in Safe Mode. Note: With this method, you may be prompted to install WGA Notifications again which can still be unselected. Another alternative is by using System Restore to restore the PC to a previous restore point that WGA Notifications hasn’t kicked in, and then carefully stop KB905474 from been applied to the system. To use System Restore, go to Start -> All Programs -> Accessories -> System Tools -> System Restore. Note: Again, you may be prompted again to install WGA Notification, so it must be bypassed.